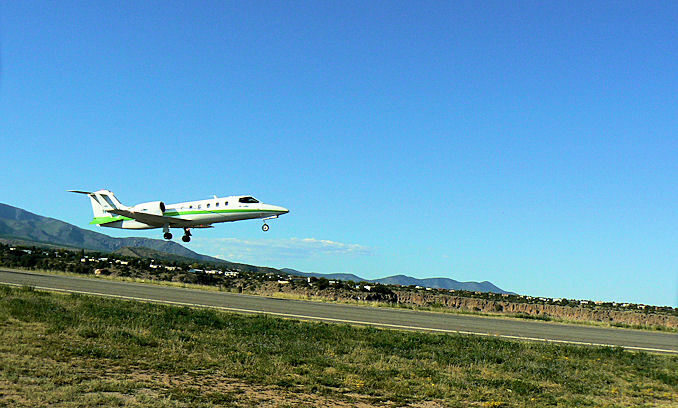 Los Alamos County Airport take off. We don't see many jets at our airport. This take off is a medical air lift usually carrying patients to Albuquerque, Denver, or other large city hospitals in TX and AZ. Airport was location for "Did You Hear About the Morgans?" staring Sarah Jessica Parker, Hugh Grant and Sam Elliott.